The Bahrain Tourism and Exhibitions Authority (BTEA) concluded its participation at the World Travel Market (WTM), which was held in the UK from November 5-7. 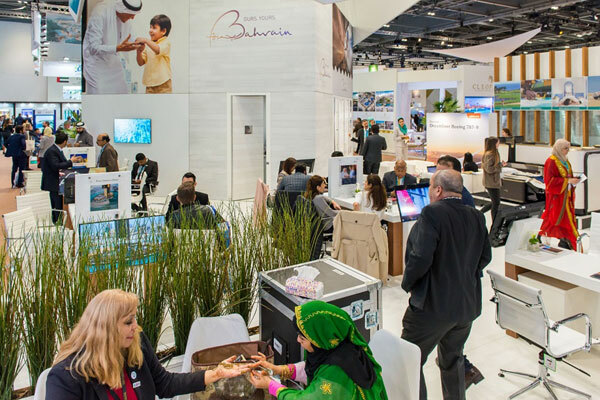 Various representatives from the Bahrain Economic Development Board, the national carrier Gulf Air, and leading hotels and destination management companies from the kingdom were present at the BTEA’s pavilion at the WTM. During the event, Bahrain showcased its rich cultural heritage, vibrant tourism landscape and 28 new properties which are set to open by 2021, providing visitors with various accommodation options. BTEA also hosted Vincenzo Nibali, the world-class cyclist and team member of Bahrain–Merida Pro Cycling Team, and UCI World Team, who promoted the upcoming Bahrain Ironman which will be held in December 2018. The event gathered representatives from travel and technology industry and companies in the private sector to discuss investment and business opportunities for the upcoming year, allowing them to exchange knowledge and experiences to push this sector forward. BTEA’s participation comes in line with its long-term strategy to further develop the Kingdom’s tourism sector and strengthen its position on a regional and international level under the slogan of ‘Ours.Yours.’, which contributes towards the Kingdom’s economy and the 2030 Economic Vision. “We are delighted to have participated in the World Travel Market, a leading platform which attracts representatives from the travel and tourism industry, where we had the opportunity to learn about the latest developments in the tourism industry globally,” said the chief executive officer of BTEA, Sheikh Khaled bin Humood Al Khalifa.